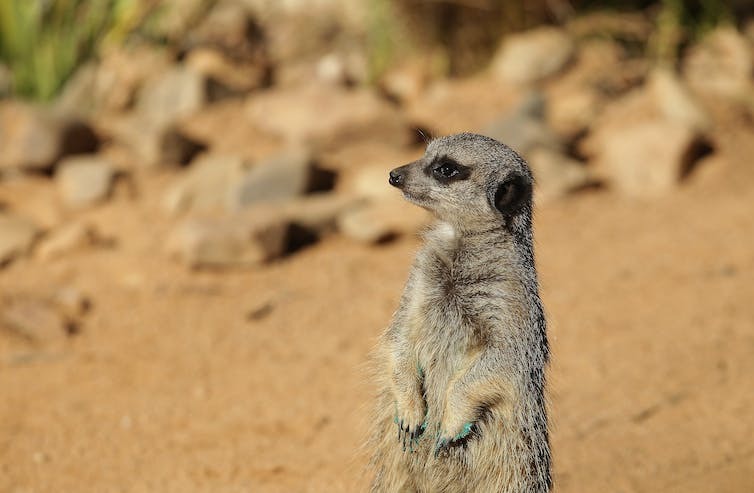 A meerkat at the National Zoo and Aquarium in Canberra. The Zoo has recently announced an expansion that will double its size. The National Zoo and Aquarium in Canberra recently announced a new expansion that will double its size, with open range space for large animals like white rhinos and cheetahs. As well as improving visitors’ experience, the expansion is touted as a way to improve the zoo’s breeding program for threatened animals. However, zoos have received plenty of criticism over their capacity to educate, conserve, or even keep animals alive. But while zoos began as 19th-century menageries, they’ve come a long way since then. They’re responsible for saving 10 iconic species worldwide. Without captive breeding and reintroduction efforts, there might be no Californian Condor or Przewalski’s Horse – the only truly wild horse – left in the wild. Australian zoos form part of a vital global network that keeps our most vulnerable species alive. What is the role of zoos for conservation? Although Canberra Zoo is relatively new compared with others in Australia – Melbourne zoo, for example, was opened in 1862 – it adds to a collection of conservation-orientated establishments. In Australia, Taronga Conservation Society Australia, the Royal Melbourne Zoological Gardens, Adelaide Zoo and Perth Zoo are all members of the World Association of Zoos and Aquariums (WAZA). WAZA is an international organisation that aims to guide and support zoos in their conservation missions, including captive breeding, reintroductions into the wild, habitat restoration, and genetic management. From the perspective of nature conservation, zoos have two major roles: educating the public about the plight of our fauna, and contributing to species recovery in the wild. Conservation education is deeply embedded in the values of many zoos, especially in Australia. The evidence for the link between zoo education and conservation outcomes is mixed, however zoos are, above anybody else, aimed at children. Evidence shows that after guided experiences in zoos children know more about nature and are more likely to have a positive attitude towards it. Importantly, this attitude is transferable to their parents. Zoos contribute unique knowledge and research to support field conservation programs, and thus species recovery. In Australia, zoos are directly involved in monitoring of free-ranging native fauna and investigations into emerging diseases. Without zoos many fundamental questions about a species’ biology could not be answered, and we would lack essential knowledge on animal handling, husbandry and care. Through captive breeding, zoos can secure healthy animals that can be introduced to old or new habitats, or bolster existing wild populations. For example, a conservation manager at Taronga Zoo told me they’ve released more than 50,000 animals that were either bred on-site or rehabilitated in their wildlife hospitals (another important function of zoos). The critics of captive breeding as a conservation strategy raise several concerns. Captive bred population can lose essential behavioural and cultural adaptations, as well as genetic diversity. Large predators – cats, bears and wolves – are more likely to be affected. Some species, such as frogs, do well in captivity, breed fast, and are able to be released into nature with limited or no training. For others, there is usually a concerted effort to maintain wild behaviour. There’s a higher chance of disease wiping out zoo populations due to animal proximity. In 2004 the largest tiger zoo in Thailand experienced an outbreak of H5N1 bird flu after 16 tigers were fed contaminated raw chicken; ultimately 147 tigers died or were put down. However, despite these risks, research shows that reintroduction campaigns improve the prospects of endangered species, and zoos can play a crucial role in conservation. Zoos are continually improving their management of the genetics, behaviour and epidemiology of captive populations. They are the last resort for species on the brink of extinction, such as the Orange-bellied Parrot or the Scimitar-horned Oryx, and for those facing a threat that we cannot stop yet, such as amphibians threatened by the deadly Chytrid fungus. 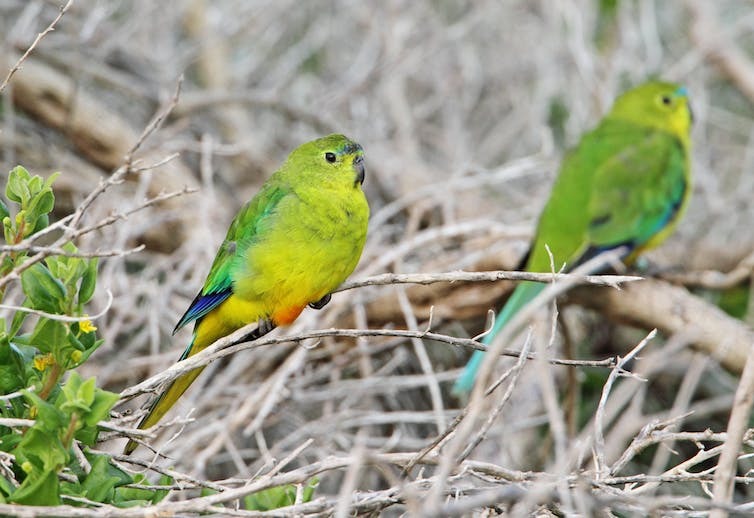 Orange-bellied parrots are ranked among the most endangered species on the planet – their survival depends on zoos. A cost-benefit approach can help zoos prioritise their actions. Taronga, for example, uses a prioritisation system to decide which projects to take on, with and without captive breeding. Their aim is to a foresee threats to wildlife and ecosystems and implement strategies that ensure sustainability. Developing prioritisation systems relies on clearly defined objectives. Is there value in keeping a species in captivity indefinitely, perhaps focusing only on education? Is contributing to a wild population the end goal, requiring both education and active conservation? Once this is defined, zoos can assess the benefit and costs of different actions, by asking sometimes difficult questions. Is a particular species declining in the wild? Can we secure a genetically diverse sample before it is too late? Will capturing animals impact the viability of the wild population? How likely is successful reintroduction? Can we provide enough space and stimulation for the animals, and how expensive are they to keep? Decision science can help zoos navigate these many factors to identify the best species to target for active captive conservation. In Australia, some of the rapidly declining northern mammals, which currently do not have viable zoo populations, could be a good place to start. Partnerships with governmental agencies, universities and other groups are essential to all of these activities. Zoos in Australia are experts at engaging with these groups to help answer and address wildlife issues. Alienor Chauvenet would like to acknowledge the contribution of Hugh Possingham to this article, and thank Nick Boyle and Justine O’Brien from Taronga Conservation Society Australia for the information they provided.